3 of my favorite chemical-free beauty products. 100% natural eyelash lengthening serum, cruelty-free, organic face wash and 4-ingredient homemade deodorant that makes me smell good AND saves me money. There are things that I use every day that I’m obsessed with. Which is why I started a little thing I like to call, “What Leanne Loves”, maybe you’ve watched What Leanne Loves Episode #1 or What Leanne Loves Episode #2 or What Leanne Loves Episode #3? Every 2 months, I’ll be sharing 3 things that I am using to balance my health without breaking the bank. These things make my life better. These things make me happy. And maybe… these things could do the same for you. 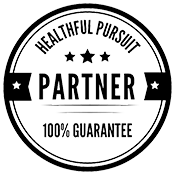 And, the featured products come with exclusive coupon codes, exclusive for the Healthful Pursuit community! So you can try it out and fall in love with them like I have. I have found these products, I have loved these products, and I want to share them with you so that you can (potentially) love them, too! Fair-trade, eco-trade, organic cosmetics with no mineral oils, animal products, or animal testing. Eyelash serum made from plants that won’t irritate your eyes or make them change color. How to make deodorant, smell good and save money. Zorah coupon code: LEANNEZORAH for a free mascara with every Zorah discovery set. Make deodorant at home with this natural Deodorant Recipe. NuvaLash coupon code: HEALTHFUL for 15% off your natural eyelash enhancing serum. Order from Canada or order from US/Global. NuvaLash ingredients: Organic Aloe Barbadensis Leaf Juice, Organic Ricinus Communis (Castor) Seed Oil, Tussilago Farfara (Coltsfoot) Flower Extract, Achillea Millefolium (Yarrow) Extract, Cinchona Succirubra Bark Extract, Water, Tocopheryl Acetate (Vitamin E), Glycerin, Honey Extract, Prunus Amygdalus (Sweet Almond) Oil, Sucrose Laurate, Sodium Stearoyl Lactylate, Nasturtium Officinale (Watercress) Extract, Tropaeolium Majus (Indian Cress) Extract, Xanthan Gum, Coleus Forskohlii Root Oil, Carya Ovata (Hickory) Bark Extract. It’s What Leanne Loves, and I have a super exciting announcement for you today. In 2016, we are going to be doing more What Leanne Loves, and so I will be featuring three of my favorite products regarding health, nutrition, beauty, all of the things. If you have an idea for What Leanne Loves feature, and you want me to talk about my favorite meats or my favorite snacks or my favorite protein powders or make-ups, all natural house cleaners, if you have an idea, please comment below this video. Whether you’re watching this on my blog at healthfulpursuit.com or if you’re watching this on YouTube, set a comment below and let me know what are you struggling with, what are you looking for, and how can I help. Today, we’re going to be talking about growing your eyelashes naturally, so that you don’t have to use the chemical laden stuff that’s out on the market today. We also have a beautiful face cleanser that doesn’t have any chemicals and a natural deodorant that you can make at home that costs about five dollars and lasts half a year to a year, depending on how much you use. It lasts me about a year for five bucks, and it works like crazy whoa. Let’s dive into to today’s first product. From Zorah, they make a beautiful discovery set for oily skin, dry skin, and normal skin. This is the discovery set right here. It comes with a 2-in-1 cleansing gel, which I use for removing my make up, as well as washing my face. I’ll kind of give you a look of what it looks like right here. You can kind of see the gel right there. This is a cleanser. All natural, organic, beautiful, beautiful. It smells so good. I’m actually going to rub it into my skin, because there’s nothing wrong with it at all. It has like a citrus smell. This discovery set also comes with, no matter what you get, the normal, the oily, the dry, comes with a daily moisturizer that’s mattifying, so it’s so great for putting underneath your make up, and it won’t get oily gross, and a skin imperfector. It’s almost like a serum. It’s sort of like a gel. It’s super light weight, and it gets rid of scars and imperfections on your skin. I just put on cleanser as cream, because it’s just so smooth and amazing. Zorah is a Canadian company. They also sell in the US, on their website. They send all over the place. What I loved about Zorah that caught my eye was their natural make up, because up until a couple of weeks ago, I am ashamed to say that I used MAC makeup. If you look at the ingredients on their containers, it’s not things that you even know what they are. Because my dad has battled with cancer twice, it’s really, really been important to me to start moving toward more natural things for my body, because our skin is our largest organ, and anything that we put on our skin is going to go into our bodies. Instead of thinking I’ll just detox it away, why don’t we just start putting beautiful, awesome things on our skin that aren’t going to affect our bodies? Novel concept, right? Actually, the chemicals that are in some of the cleansers and the standard cleansers out there have a lot of cancer causing agents, things that can actually interact with antibiotic resistance in certain bacterias, can trigger allergies and asthma. So when I found Zorah and looked at all the ingredients, and I will include the ingredients below. If you look for the link below, it will say “See transcript here.” If you go there, I will include all of the ingredients that are in their products, so you can check it out. If you are a follower of EWG’s skin deep program, all of the products and all of the ingredients in these products are rated between 1-2, so the ingredients are 1-2 of a rating. 1-2 is low hazard for the chemicals and ingredients in it, 3-6 is moderate hazard, and 6 is like dangerous whoa. Up until I switched over to Zorah, I was actually using Proactive, which is a rating of a 6, so I’ve gone from a 6 to ingredients that around the 1-2 rating, so I’m like a major win in this category. This discovery set, I chose the one for oily skin, which has been helpful, especially the mattifying cream. I put it on before I put on my make up today, and it just helps with the shine and glow that skin will naturally have. This kit, all of the discovery set kits, start at around $100 and come in these beautiful boxes you can see here, with the three things. Because you’re a Healthful Pursuit listener, watcher, reader, and you’re part of our community, if you use the coupon code “LEANNEZORAH” all in caps, that’s L-E-A-N-N-E-Z-O-R-A-H, on their website, and I’ll include a link below this video, you get a free mascara with your discovery set purchase, and this mascara is about $25. I’m wearing it right now. You can see just how awesome it is. It comes off beautifully with this Kaila Pure Argan Bio-organic 2-in-1 Make up Remover. Like I said, I just put it on a little cotton pad, and then wipe it off. It’s not like stripping paint off a wall. It just comes off like beautifully awesome. There’re no chemically outrageous things in that mascara that’s going to leech into your eye and potentially cause some issues that maybe you just don’t want. There you have it. A cleanser and moisturizing system that you can use that won’t have toxins in it. The next product is something that I made myself. This is an all-natural beautiful deodorant that works. You can see it’s like whipped and beautifully awesome, sort of like a cream. It’s a mixture of coconut oil, natural Shea butter, baking soda, tapioca starch. I’ve included the link below this video, or if you’re watching this on Healthful Pursuit, it is below this video in the resources section. If you click that natural deodorant link, you’ll be taken to another page on my website that has the recipe for this deodorant. So, why would you want to make your own deodorant at home? Why wouldn’t you just go to a health foods store and pick one up? I don’t find the health food store ones, even if they don’t have the crazy chemicals in them, I don’t really like them, because they don’t work, and they’re really expensive. I don’t want to spend $10 on a deodorant that’s going to last a month and maybe not work. Then the standard ones, like the every day deodorants, they’re going to have things like silica, which is a known skin irritant and a carcinogen. They can have propylene glycol, which can cause kidney and liver damage and is also a neurotoxin. It can have parabens in them, which is known to cause breast cancer, as well as aluminum compounds, which stimulate breast cancer growth. Knowing all of this, and knowing that natural deodorants don’t work, and they’re expensive, I just figured I would make my own. I shared this product with my friends and family. Probably about 6 or 7 months ago, I gave them a little bit to try over a couple of weeks, and they said that it worked well. I’ve been using it for over a year. I love it. This jar is ginormous. This deodorant will last me, at least, a year. I just put it in little jars along the way, so if I’m traveling, I don’t have to carry around this huge thing. You just need a little bit. Put it under your arm pits. It lasts all day. When I was working out, it was fine. I don’t smell. I still perspire, because that’s natural, and this isn’t an antiperspirant. It’s just a deodorant. I will link to the recipe below this video if you want to check it out, all natural ingredients. It takes like two minutes to make. Last but not least, guys, this stuff is awesome. It’s called NuvaLash. You can see a little bit of the white cream on the end there. If you’re looking at growing your lashes naturally, without changing the color of your eyes, because yes, there are products out there that when you try to grow your eyelashes, it can change the color of your eyes. Or if you’re not all that interested in putting chemicals on your eyeballs, NuvaLash is an all-natural eyelash enhancing serum that is made from all-natural ingredients and also made in Canada. Oh my gosh. All of today’s products are made in Canada, but also available in the US. I will include a link below this video for NuvaLash. Like I said, it’s 100% natural product. I’ve been using it for two weeks, so it’s too early to tell if this is working. My eyelashes are a little bit thicker, and the baby lashes, I find, are a little bit stronger, but it’s too early to tell exactly what this is going to do in the six week mark, but I will include pictures on social media when I get to that six week mark. I just love this, and some of my friends have tried it and say that they love it. I personally know the owners, and I trust them immensely with this. It’s a Calgary-based company. All of the product is made in Canada. There’s no animal testing. There’re no synthetic ingredients. It’s safe to use with eyelash extensions. It doesn’t irritate your eyes. I tried another eyelash serum a couple of years ago. I put on my eyelashes, and then my eyelashes were like burning. It was just horrible. I didn’t have that experience with NuvaLash. It was rated 0 from Think Dirty, so that means that there are no harmful compounds in this baby right here. Super exciting for all Healthful Pursuit community peoples, if you use the coupon code “HEALTHFUL” all in caps, that’s H-E-A-L-T-H-F-U-L, I will include a link below this video with all the details, you will get 15% off your NuvaLash. Yeah, that’s so awesome. It lasts 3 months. I got two, so it’ll last me a year. I’ll give it a whirl. I’ve been putting it on my eyebrows as well as my eyelashes. If you’re interested in this product, you can also click below to check out the ingredients. I’ve included it in the blog post for this video, and you can read the ingredients, and see if anything jumps out at you. It’s all natural things. There’s no words that you can’t read or weird components of things. It’s just all natural. Imagine that. It grows your eyelashes. Again, that’s “HEALTHFUL.” I’ll include a link below this video where you can take advantage of that 15% off coupon. I hope that this What Leanne Loves feature has been super awesome for you. All of you are asking what I use for beauty products, so this is just the beginning of what will probably be a very exciting 2016, which will start in just a couple of weeks. I can’t believe Christmas is just a couple days away. If you have any questions about these products, or you want to know how I use them, or results or anything, comment below this video, and I’ll try to help you as best I can. If you’re loving what you’re hearing, and you’re not already subscribed to my channel, you should probably do that. I’ve included a link over here where you can subscribe to my channel. 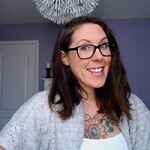 Also, if you’re like, “Whoa, What Leanne Loves, that’s so awesome, I want to hear more about the products that are natural and clean and awesome,” I have included a couple of links here where you can go and check out the What Leanne Loves features. Also, below. I hope you have a beautiful day. Happy Holidays to all those celebrating. I will see you next Wednesday. Bye!